Construction of Heavy Duty Pavements, Fuel & Oil Pipelines with Chambers and Crane Tracks at Berth 1 to 4, East Wharf-Phase "A". 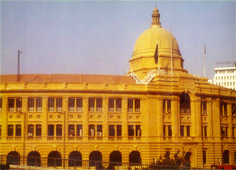 Four ship berths at Karachi Port were constructed by Shaukat and Raza. The concrete berths were built over raked piles driven into the seabed, with pile caps on which the berths were integrated. 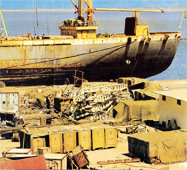 Crane rails and water and oil pipelines for bunkering were built.